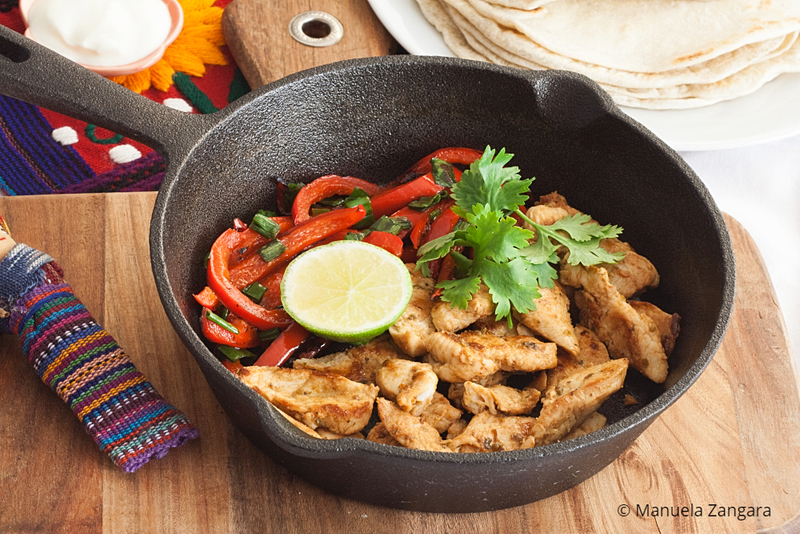 Today I am back with another delicious Mexican recipe: Low Fodmap Chicken Fajitas. I am so happy I was able to make these Low Fodmap! 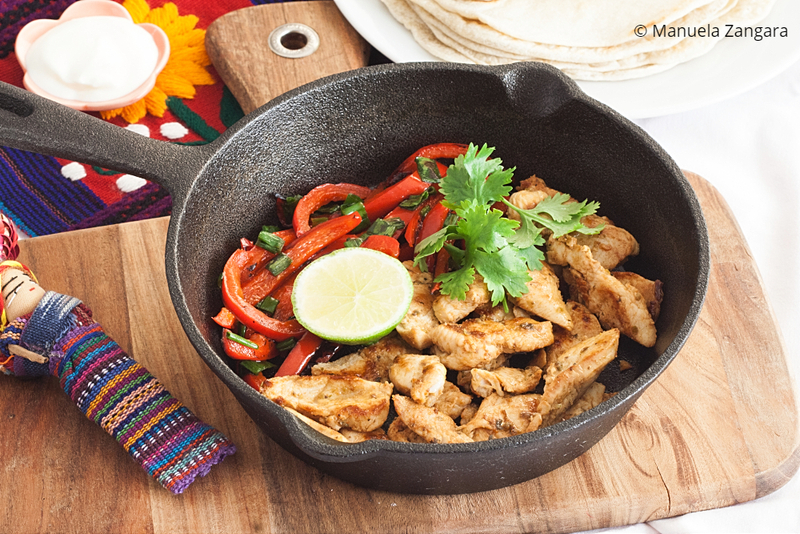 I love Fajitas! I still remember the first time I had them. I was in Cancun and it was the first Mexican meal I had in Mexico. This happened over 15 years ago and the food was so good that I still remember it today! 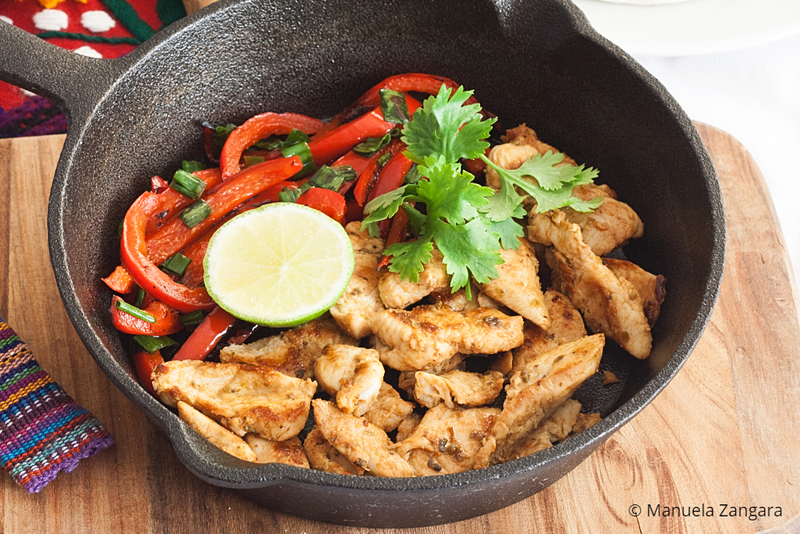 These Low Fodmap Chicken Fajitas are really easy to make. In fact, I make them often and they have become part of my usual menu plan/rotation. If you are not following the Low Fodmap diet, you can simply swap the green onions with regular sliced onions (about ¼ to ½ an onion per person). 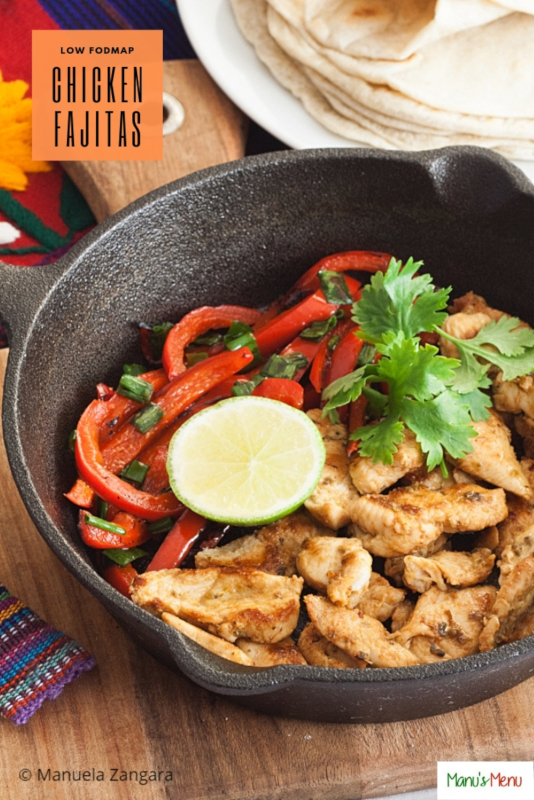 Serve these Low Fodmap Chicken Fajitas hot with my home-made Low Fodmap Tortillas, fresh coriander leaves, lactose-free sour cream, and lime juice for a super delicious meal! Enjoy and don’t forget to check out my video recipe and to leave a comment to let me know how you like it! 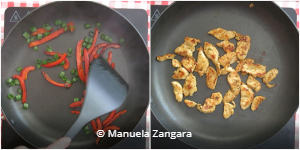 Low Fodmap Chicken Fajitas – very easy to make and gentle on your tummy! 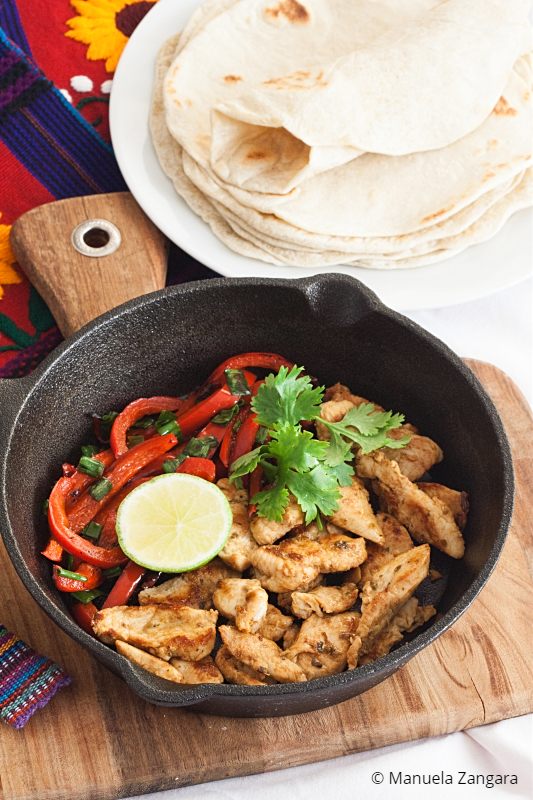 Serve hot with home-made Low Fodmap Tortillas, fresh coriander leaves, lactose-free sour cream, and lime juice. 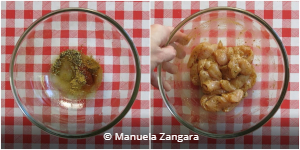 In a medium bowl, mix together all the marinade ingredients. Add the sliced chicken and marinate for 4 hours at least. Saute the capsicum with 1/3 tbsp garlic infused olive oil until cooked. Add the green onions and saute briefly. Remove from the pan. Add salt to taste. Saute the marinated chicken (with the marinade) until cooked through. Stir in the capsicum and keep warm. 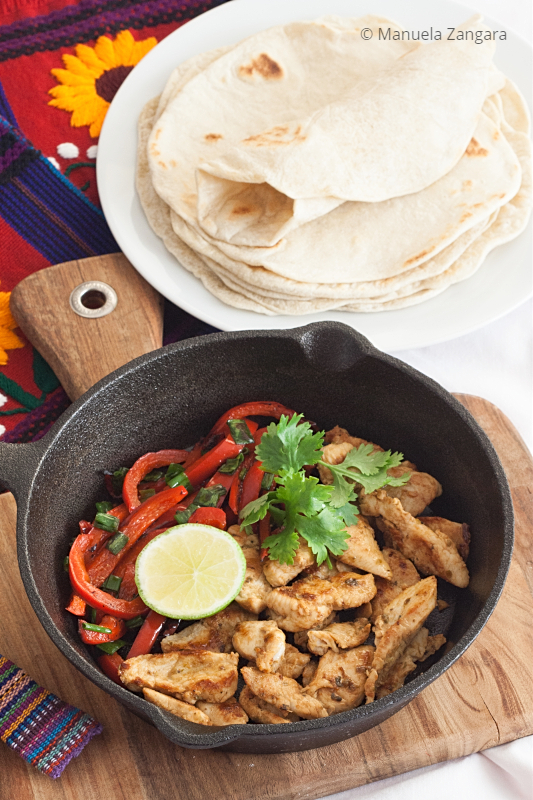 Serve hot with my home-made Low Fodmap Tortillas, fresh coriander leaves, lactose-free sour cream, and lime juice.